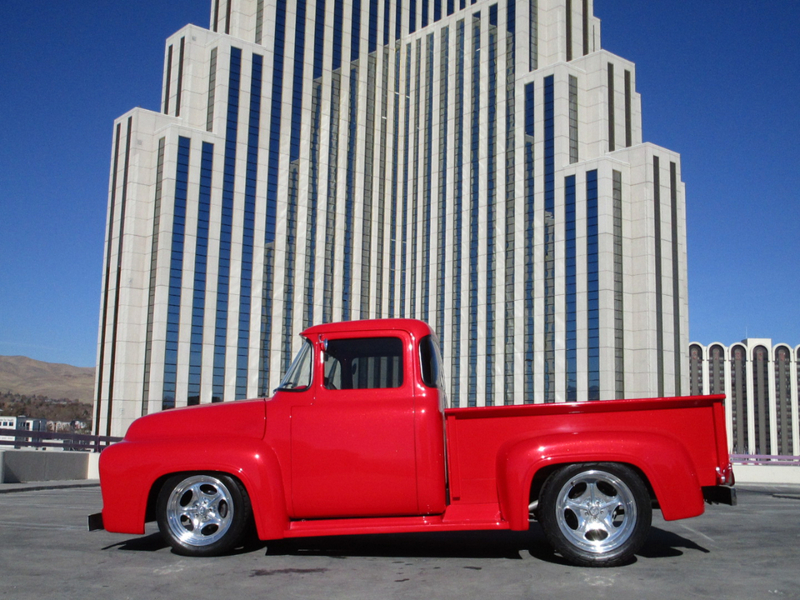 This is a beautiful metalllic red Ford F-100, with 351 engiine, automatic, 14 gal. gas tank. Bebop's cab, fenders, running boards. Pro's pick bed. Walton chassis, Fairlane hood -CPP hood tilt. Ididit chrome steering column. VDO gauges. Sanderson Headers, 4 wheel disc brakes. Sparklescent Rock Star Red paint. Interior is a tan and brown suede. 6410 miles. This car is a show car, which has been in the Classic Trucks magazine and in the Western Nationals.